Our second rebuild was by far the worst. Our plants were not dug up properly, so they died out and our fruits became moldy. Since the plants died, the oxygen was probably cut off and our crickets died in two days. We observed that sometimes the big changes didn’t actually improve the ecosystem of our eco dome. We think that our fruits were actually too much that they molded so quickly. We also noticed that the plants died out because when we planted them in our dome, some of the roots might have been torn off because the soil didn’t help it grow. The container was not big enough to hold some of the plants we chose. Posted in Uncategorized on December 12, 2017 by Xiao-Yu (Ariel). In science, we started an eco-dome assignment where we would create an environment for two crickets and see if it would really work and if our crickets would survive. also add in a bigger variety of food like cornflakes to our design. One last change is to definitely put in more water because the crickets have actually drank most of it up. Posted in Uncategorized on December 5, 2017 by Xiao-Yu (Ariel). Surprisingly both our crickets have not died yet, but our eco-dome is a little destroyed because I think someone dropped our container. So now we need to rebuild our eco-dome and also add some more variety of food and water so that our crickets will survive longer. We observed that our crickets drank lots of water and digested the food. Because of this, our supply of food and water ran out. Otherwise, our design was good and helped the crickets survived. We should add more water because the crickets finished it by the time we checked. According to our observations, the crickets really liked the apple slices that we supplied them because most of it was gone when we checked. We learned that crickets also eat cornflakes, so we are going to add that. Posted in Uncategorized on March 7, 2017 by Xiao-Yu (Ariel). Three characters that remind me of myself are Riley Matthews from Girl Meets World, Disgust from inside out, and Sharpay Evans from High School Musical. If I were to describe myself, it would definitely be a combination of those characters. First, I chose Riley Matthews from a Disney TV show called Girl Meets World. Riley is a little over dramatic, quirky, and sensitive, just like myself. However, she’s very bubbly and cheerful and seems a little bit awkward and immature. I think that this is very similar to myself since I am outgoing but insecure. Riley is like me the most. Next, I chose Sharpay Evans from High School Musical. I know this is a huge twist from Riley, but like I said at the beginning, I am a little combination of all the characters. Sharpay is very confident, a diva, and expects a lot from everyone. I’m confident but a little insecure sometimes. I also know that I’m a little bit of a diva, and I do sometimes expect too much from people. Posted in ELA 7, Uncategorized on September 30, 2016 by Xiao-Yu (Ariel). Recently on writing class, we learned started to write poems. My poem is called "I Can" which is about my experience so far in Middle School. I faced some challenges while creating this poem. Coming up with my poem idea was a little difficult. I wanted to come up with something more unique that described my feelings. Trying to organize my stanzas were also a little tough, especially to structure them into stanzas of related information. As you can see, my picture is an outline of a person jumping from a cliff to another. My message I'm representing is if you work hard, you can overcome obstacles. A person jumping over an obstacle gives me the idea of my theme. Some things that I really like about my poem is the metaphors I have used. They all relate to the idea of my poem very well, and can give the reader an idea of how I was feeling. I also tried to put in lots of figurative language to draw an image inside the reader's head. My theme is "Middle school is tough, but if you work hard, you can get through it." My picture symbolises the theme because you can kind of imagine the obstacles in the picture as the challenges in middle school, but the person is jumping over them. My main message is working had to overcome challenges, which the picture can really give me an idea of. Posted in Grade 7, Writing 7 on September 27, 2016 by Xiao-Yu (Ariel). Lately, we have been learning about Judaism and Christianity. We read some of the parables(short stories with a message/moral) that Jesus shared. I chose the parable "The Good Samaritan" because the moral was easy to understand and the message it was sending was very deep. In Jesus's words, his moral was "Love your neighbor as yourself." This message may be simple and short, but it's extremely important. I summarized that message to treat and love everyone equally. Basically the life lesson there is to treat everyone as you would like to with yourself. The poor and ill especially liked this message because they felt like they deserved to be treated fairly. The Good Samaritan can relate to some of my real life experiences. For example, I am friends with many people who are very different than me. Just because they aren't like me, doesn't mean that we should treat them any different. These parables helped the spread of Christianity because they were easy to understand, and people tend to learn things easier when they are told in stories. This parable(The Good Samaritan) taught people to treat those who are different from you with the same respect. It probably appealed especially to the commoners, poor, and ill the most, because they wanted to be treated fairly. The Good Samaritan might have helped them understand the true meaning of Christianity and they were willing to apply to that religion. Posted in Grade 7, SS 7 on September 22, 2016 by Xiao-Yu (Ariel). My poem is "Nothing Gold Can Stay" by Robert Frost. I chose this poem because first of all, I am extremely into nature and I love poems about nature. I have read a lot of Frost's poems before, and I really adore them. Second, the first time I read this poem, I could not understand it at all, or what Frost was trying to explain. Even though it seems short and simple, the meaning behind this poem is very deep. Some things that I learned are; you can't read every poem on the first try and expect to completely understand the meaning. There also isn't a right or wrong meaning of a poem, it really depends on what you believe the poem represents. I also learned many different types of techniques you can use while writing poetry(ex. Alliteration, simile, metaphor, onomatopeia...etc. ), and how to use them.For the past few weeks, our ELA class has been reading poems and trying to "figure them out" with techniques that Mrs.Bailey introduced. For the fourth quarter, our project was called "The Butterfly Project", where we pick a poem that we are interested in and analyse it. To sum it up, analysing this poem wasn't actually a little bit difficult, but I have definitely learned a lot from it. Additionally, I actually had a lot of fun creating the shape for my poem. The time limit was a little hard to manage, but due to my time management skills, I finished it just on time. This is a project I would recommend students next year for a challenge. Posted in Balance in life, ELA 6. Tags: ELA, Poetry, Project, Thinglink on May 23, 2016 by Xiao-Yu (Ariel). After my experience with using Quizlet to study, I have a very positive reaction. I can definitely define much more words and give correct examples. In the beginning, I knew very few words, like noun, pronoun, simile, and metaphor. I was so scared when I saw those long words like onomatopoeia, personification and hyperbole! It took a lot of work, but I finally can define most of the words in the Word Wall. I had to write all the words down and study a couple of minutes every day for a week. The most useful things on Quizlet for me is gravity, scatter, and learn. However, gravity and scatter really stands out to me because not only do they help you learn and remember the definitions of the words, they also improve your time. Although they are all great, the flashcards and speller option in Quizlet is better if you want to improve your pronunciation and if you want to know how to spell a word. Now, I can easily define most words, spell them correctly, and give examples. Some words I am very confident with are adverb, convey, couplets, personification, imagery, simile, metaphor, personification, onomatopoeia, hyperbole, and speaker. The words I still have a bit of problems with are verb, paraphrase, morpheme, morpheme, and stanza. Overall, Quizlet is a excellent resource to help students with their vocabulary. Posted in ELA 6 on April 8, 2016 by Xiao-Yu (Ariel). Posted in Exploratary 6 on March 31, 2016 by Xiao-Yu (Ariel). Hola everybody! Spanish has been such an amazing course for me throughout sixth grade. I really liked learning a whole new language, and it has really surprised me how much I know about Spanish now, since, at the beginning of the year, I really had absolutely NO IDEA about this language. Spanish has and will always be one of my favorite classes, because I feel like we have fun, but not only that, we learn a lot, too. Ms. Nevado makes learning Spanish really fun because she creates games with the vocabulary, and even the quizzes are quite fun with the program she uses to make them. My favorite activities we have in Spanish are Kahoot and Quizlet live. For those who don't know what those are, Kahoot is a game where we can join a "class" and questions will pop up on the presenter. We have around 20 seconds to answer the questions on our computer, and the person who has most points gets a homework pass. Quizlet live is also a game-ish program where we always get in different teams, and there will be questions and we answer them with our team. The winners get the same treat as Kahoot. We also have some physical activities to learn Spanish, too, like putting up a puzzle together with Spanish words, and putting right words in right boxes. I've had plenty of accomplishments in Spanish, but I have had some challenges, too. The biggest challenge I've had this whole year is probably making my video blog. Sure, it is also my accomplishment, but during the making of that project, I was in some pressure. First of all, I had to check the rubric and MAKE SURE that my video blog met everything on the rubric. One thing I really regret is I had some trouble managing my time, since all the other classes had some projects, too. So I started creating my video blog just around a couple of days before the due date. That led to staying up late and not finishing assignments. Another big challenge for me was some of the EDpuzzle and Quia activities. I almost never could get 100% on the first try, and would have to reset and retake. There are still some activities in Edpuzzle and Duolingo that I haven't retaken yet, so I'm still trying to manage my time and get that all sorted out. It's a little bit difficult to just write down what I've "improved" in the most since I've never taken Spanish classes before 6th grade, so everything I've learned is kind of an improvement. But I think the topic that I understand most now in Spanish is Descripción física(describing things/people in Spanish) and Spanish verbs because at first I was so confused because of the male and female rule in Spanish since every word in Spanish has a "gender". But after lots of studying and practicing, I feel that I understand this topic much more, but not quite completely. One thing I still don't understand/needs improvement in is telling time in Spanish. It's very different than telling time in English, so I'm still a bit confused about it. Even though above I stated that I'm pretty confident with knowing which word is what gender, that doesn't mean I know all. I only understand which gender should what word be if I know and have studied the word. I still need a little help with knowing what gender should a new word be if I saw it. So I still need a little help with understanding the rules. Another topic that I kind of need help in is remembering how to spell a Spanish word. I haven't been amazing at spelling so far. English and Spanish use the same alphabet, but some letters are pronounced very differently like j is pronounced like a y in the Spanish pronunciation. Posted in Grade 6, Spanish 6 on March 31, 2016 by Xiao-Yu (Ariel). We started to study about poems last ELA class, and our task is to choose a poem and speak up our feelings and thoughts about it. The poem I liked most is Stopping by Woods on a Snowy Evening by Robert Frost. To summarize, this poem is about the main character visiting another man's beautiful woods at night, and his horse is confused why his owner wants to stop at a place without a farmhouse near them(so they might be traveling or visiting), so it(the horse) shakes its harness bells as if it is asking if there is a mistake. The reaction I have to this poem is I think it's very mysterious and quite soothing. The reason why it sounds mysterious to me is when the author says "His house is in the village though;" I immediately thought; 'Who is he the author is talking about?". I find the poem very soothing as well because when Robert writes "Between the woods and frozen lake, the darkest evening of the year." and also "The woods are lovely, dark and deep.". Those two lines calm my senses, and I find them very beautiful and elegant. There are lots of questions I would like to ask Robert about the poem, like what does "But I have promises to keep, and miles to go before I sleep." mean? What promises does he have to keep? And why does he have to go miles before he sleeps? Also, the beginning of the poem states as if the snowy woods were owned by another man, who doesn't know the main character is in his woods. I am a little confused due to those lines in the poem, but overall, I think this is a very favorable poem that left me thinking for a while. Posted in ELA 6 on March 23, 2016 by Xiao-Yu (Ariel). Hello everyone! Once again, I am back with another free write blog post. This time, I decided to write about my favorite celebrity, idol, and life inspiration, Emma Watson. She's well known for her acting, mainly as Hermione Granger in HarryPotter(my all-time favorite movie) since she was just around 11 or 12, so obviously she's had lots of experience in acting. 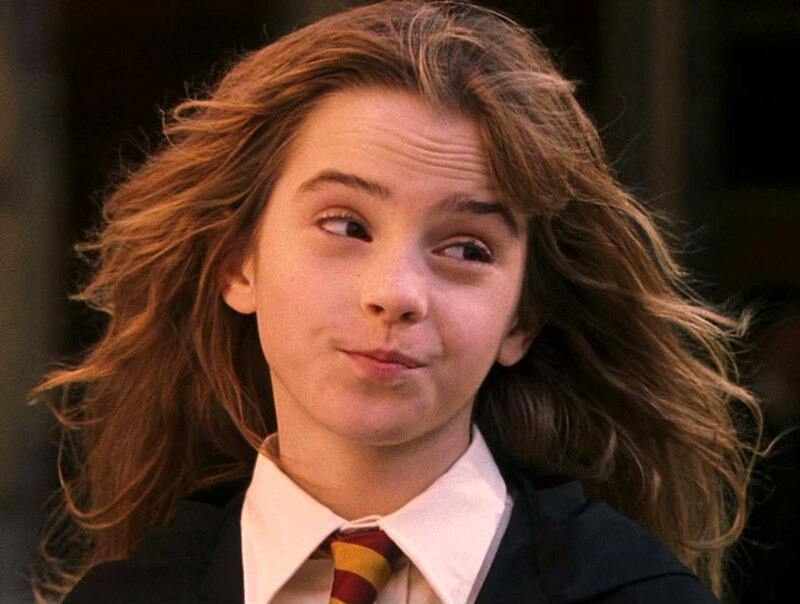 As a person who has watched ALL the Harry Potter films and read all the books, I can tell you that Hermione is my favorite character, and even better, she's played by my idol. Not only Harry Potter, Emma Watson's acted in lots of other well-known movies such as My Week with Marilyn, Noah, and Beauty and the Beast(which is coming out next year and I can't wait to watch). I love that her facial expressions are always so realistic, as if she's actually the character in the movie. In fact, Emma's admitted she's quite like Hermione in real life. Emma Watson isn't just known for her acting, but also standing up for equality(such as gender rights, equal pay, equal education, and racial equality). She's in a campaign named "HeForShe", which encourages all genders to support equal rights and become feminists. Emma really tries hard to get all her fans and audience to believe everyone can support equality, by lots of public speeches and posting on social media. She also contacts other famous feminists like Malala and Gloria Steinem. Recently she's been appointed as Goodwill Ambassador for UN Women, so I'm very impressed that she's brave enough to speak out to the whole world about her beliefs in equality(since she has lost some fans due to this act, but she still continues)One of my favorite quotes by Emma is "If not me, who? If not now, when? ", it's the quote that inspired me most. If I'm ever able to interview or meet Emma Watson, I would be so, so excited. First of all, I would start off the conversation by gushing about all the lovely films that she's acted in, and ask her how she achieves such realistic facial expressions. Since I am a huge Harry Potter fan, I would ask her about acting as Hermione for more than 10 years, and if it was difficult. However, I would be more focused in asking her what inspired her to spread kindness to the world(by fighting for equality), and how can young people like me start making a change. I would also ask her some advice for public speaking(since her speeches are very well-known). To end off the conversation, I would just ask some normal questions, like favorite food, color, and facts about herself. Posted in SS 6. Tags: free write, gr6, mckinnon, SS6 on March 8, 2016 by Xiao-Yu (Ariel). In the first two weeks of P.E, we started the juggling unit. Let's say I'm..."kind of" clumsy. So we started the class normally, with torture planks, then some warm-up games. After that, Ms.C told us we would start juggling, then we watched this man teach us how to juggle on YouTube, and he seriously had skills. Then Ms.C showed us herself. It always looks SO EASY when other people do it, but when I do it, it's the opposite. Posted in PE on September 11, 2015 by Xiao-Yu (Ariel). Hey guys! This is my Day in the life video, and all of 6th grade had to make one. Please comment about anything you liked, or what you think I should improve on. Posted in Uncategorized on September 1, 2015 by Xiao-Yu (Ariel). Our Cat Tien field trip was awesome! This was my first time being 3 days and 2 nights without my parents. It was a very exciting and adventurous trip. I learned tons about endangered animals, friends, and nature. The best thing that happened in the Cat Tien field trip is the Night hike and the Night Safari, because I just loved walking peacefully at night and listening to all the different insects and animals. But the best part was the stars! In Phu My Hung there is a lot of lights so we usually don't see stars around here. But in the night at Cat Tien, the stars were countless and they looked AMAZING. We spent 5 minutes lying on the ground and gazing at the stars. That was a very special moment. The most interesting thing I learned was that male gibbons sing to attract female gibbons! Did you know that gibbons sing a duet together? The way to tell if a female is singing or a male is singing is male's sing in a lower pitch in the song, and the females take the higher pitch in the song. The most interesting thing I saw was at the bear center. I have never seen a moon or sun bear in real life. This was the first time I saw them! The moon bears caught my attention. They were so adorable! We hid fruits and peanut butter in their habitats, and went to a balcony to watch them find the food. Though I saw a bear that one of his paws because he had been chained for such a long time and his paw got infected. I felt really sorry for that adorable moon bear. The most challenging part in the trip for me was the time when we went to the forest for the scavenger hunt. I have always been afraid of insects and scratchy plants. But I took a big breath and went with the others. But it was amazing! The forest was beautiful, there were so many trees and different kinds of plants. I loved every part of the forest and I hadn't get bitten by a single insect for the whole trip. Except for a mosquito. I wasn't sure I wanted to do the morning hike either, before. But the morning hike turned out AMAZING! We heard lots of gibbons singing. I loved this trip and I really hope I can go there again! Posted in Science on March 13, 2015 by Xiao-Yu (Ariel). Doing the free design wind racer was AWESOME. It's when we design a car model and put it in front of a fan to see how long it would go. First, we finally got to choose who to work with! Our team was Mia, Valentina, Jiwon, Rumi, and me. I made up the car name One Direction (Probably because I'm so obsessed with the them), and it was really fun making up the car and designing our own model. When we did the first trial, we really thought it was pretty bad, with 2.74 meters. But we were SO wrong! The second trial was much better, 6.19 meters. But to our surprise, our last one was the best 7.34 meters! And we went the furthest! Ms.Rayle even gave us a fun certificate. Anyway, I really enjoyed doing the challenge. Posted in Science, Uncategorized on March 2, 2015 by Xiao-Yu (Ariel). The Swedish presenter by the name of Hans Rosling talked about economy and growth in different countries. He used an outstanding amount of examples to show he’s audience what poor people and people in poverty have to deal with, and the videos he showed really appealed to my emotions. He also showed used graphs to show increases and decreases of countries. I was really shocked by the extreme growth of some countries in such a short period. Examples of poverty in this video teach us to not waste money on things that are useless. Posted in Uncategorized on May 20, 2017 by Xiao-Yu (Ariel). Posted in Uncategorized on February 15, 2017 by Xiao-Yu (Ariel). While brainstorming, our group came up with several good ideas. Our first idea that we also ended up using was to use gravel, sand, and absorbent paper/coffee filter/cloth to clean water. Rocks, gravel, and sand make a permeable layer. Another idea we wanted to use was to boil the water like we did in our water cycle experiment. We also thought about using fruit peels in our filter to absorb the bacteria. We decided to make a filter using a plastic bottle and a permeable layer using rocks, sand, gravel, and charcoal. The results definitely could not meet the requirements. The turbidity was very low which was good, but there were still pieces of copper, a high pH, and salt crystals. We made quite a few changes for our second try. Research says that coriander reduces copper, but we couldn't get it so we got parsley instead. We also added some baking soda to bring down the acidity. Cotton was also added to reduce the sediment pieces. Finally, we smashed the charcoal to smaller pieces to increase its effects. The final results improved by a surprising amount. Almost all copper was removed, the pH was neutral, and turbidity was low. The only thing that we still need to fix is the salt because there were still some salt crystals left behind. My final impressions of this project are it was a lot of fun and helped me understand more about this watersheds unit. We worked very hard to create our design, especially after the first try because we were trying to figure out how to change the filter so it would meet our requirements. Posted in Uncategorized on December 13, 2016 by Xiao-Yu (Ariel). It is a project where we create an artwork about something we are passionate about. I'm really excited, and I feel like this gives me a choice instead of just doing something the teacher assigns. I'm going to make a huge Starbucks cup sculpture. What steps do you need to take to complete this? I need to research a little and plan it out. Then, I need to find the proper materials to turn it into a final. I wrote down all the materials I'm going to bring next class and I know how I am going to make my sculpture. I think that I was very good at researching and finding the correct materials. My plan is to make a real life starbucks cup with paper mache. I was going to make a giant one, but I decided to change it smaller so it's easier to manage. I learned that I could make a really nice Starbucks cup that I could drink out of using paper mache. I watched many paper mache tutorials, so I understand how to make it and can start right away next class. Today, I made a practice version of my project using a small cup so I would know what the actual experience would be like. I used many different materials, like newspaper, white paper, and brown paper. They all work very well except brown paper feels a little too thick. My next step would to see the finished result of my practice one and find out what I need to change. Today in Art my practice paper mache cup was done. I think the material I'm settling on is newspaper and drawing paper because they are easy to work with and smoother. Some problems I came up with is my mold was a little tight, so I had to cut the mold to take it out. That is something I could change at the final. I am going to start my final next class, and bring in a bin. What went well was the result was very firm and would not fall apart. How can I make my mold easier to take off? What am I going to use to wrap around the paper mache after it is done? I finished paper macheing my final, but the bottom is going to be finished on Friday after the top dries. I'm very excited to see how it's going to turn out! What went well is I think the number of layers is just perfect for my cup to come out easily when it dries. My next step is to finish the bottom of the cup and start to paper mache a balloon to create a mold for my "whipped cream"
I've completely covered my whole design with paper mache. I learned that the bottom needs to have many layers to be thick enough not to tear apart. I covered my whole design with 4-5 layers of newspaper and white paper. Something that went well today was I didn't wrap the layers around too tight, so it shouldn't be as hard to take off like the practice version. Next lesson I'm finally going to start covering the "cup" with felt and making the whipped cream using cotton. My Starbucks cup is finally finished! I covered the cup with pink felt, made a mold using plastic bags and scrunched up newspapers to put add the cotton(whipped cream). After I glued on the cotton, I made a "straw" using a wooden stick spray painted green and made a "whiteboard" using white paper and tape to write my name, since every Starbucks drink allows you to have your name on the label. To top it off(literally) I drizzled "caramel" by squeezing brown paint using a special tube. I'm very surprised that everything came together at the end and I'm really proud of my results. I would definitely recommend this to other students because it gave me a unique way to combine my passion and art, which was also a great way to realize everyone in the class' passion and helped us get to know each other more. Posted in Art 7, Grade 7, Uncategorized on November 10, 2016 by Xiao-Yu (Ariel). Our Writing class decided to end our poetry unit by making a digital video about our poem. My video is named True Friendship, which is about all of my friends and our memories together. Since I wanted to be creative and handmake all of my pictures, it definitely took me a little longer. Some of the biggest challenges I faced was how I was going to present my video. I had already settled down on drawing out my poem, but I wasn't sure how to showcase it. This video helped my poem seem more emotional and helped express the idea of how important my friendship is with my friends. I tried to emphasize some certain words in the video and I made my music relate to the theme. At the start, the music would be quiet, but then it would get more intense at the dramatic moments. If I had a chance to redo my project, I would change some of my pictures to make the viewer understand what I'm trying to represent. My advice would be to really pay attention to the tone of your voice because I've learned that can really change the message you're putting out there. Also, make sure to put in pictures that will leave the viewer thinking, not just all literal pictures. Posted in Uncategorized on November 9, 2016 by Xiao-Yu (Ariel). Posted in SS 7 on October 12, 2016 by Xiao-Yu (Ariel). on Did the benefits of Roman expansion outweigh the costs? on 3 Characters who describe me!